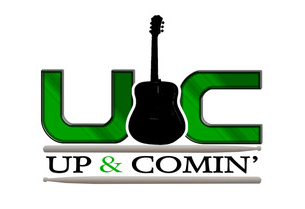 Up & Comin’ is searching for the next Country, Hip-Hop, Alternative, R&B, Rock or Pop complete artist, group or band for a chance to win a recording deal, a $10,000 cash prize and global exposure for their music. Season 2 of the competition returns for a worldwide search and a 25-episode run to ultimately discover the next complete artist. The show is produced by Massey, Bob Holmes ("Christmas in Rockefeller Center"), Willie “Bum Bum” Baker (Record Producer for PINK, India Arie, BoyzIIMen) and a team of entertainment industry experts that have worked with the biggest names in the business. A Hot Cup of Joey did a Q&A with Delano Massey, CEO of Jacob's Eye Music. Check it out below, and stay tuned on all the latest at www.upandcomin.jacobseye.com. Submissions are now free through March 31, so get your music together! What are you looking for in an artist for Season 2? Up & Comin’ is searching for the “complete” package, with original music, and the ability and desire to communicate with huge fan bases. We want music from all genres; and performers could be groups, bands, musicians, rappers as well as solo artists. Are there tips or tricks that will make one submission video stronger than the others? We are evaluating from all the information submitted. Of course reviewing the song and JPEG, but also considering their on-line presence through their social media pages. All things being equal, we’re looking for that intangible element ……. The “it factor”. Tips for contestants once they get on the show. Be active in social media. In today’s market, successful artists MUST be active within the digital landscape and interact with the fans online. What is going to be different about Season 2? Well the biggest change, and the one I’m sure everyone is excited about, is the $10,000 Grand Prize! Also, the contestant field has doubled from 25 to 50, there are 4 rounds this year instead of 3, and the three finalists will meet and perform at our final live event to determine the winner. How have you seen the Season 1 winner's career affected by Up & Comin'? We have seen a tremendous increase in all of the contestant's exposure. Some contestants went from two or three thousand views to 100,000 to 200,000 views for each piece of content. Our season one winner, Rachel Lynn Sebastian is currently on tour in China. We just feel that other shows have focused on celebrity judges and not the music. We want to focus on the artist that's creating and performing original content. I have always been a fan of the great singer/songwriters - Stevie Wonder, Elton John, Alicia Keys, etc... Rock acts like U2, and the Red Hot Chili Peppers, and some of the new Country artists like Rascal Flats and Eric Church. What will artists gain by participating in Up & Comin'? If an artist becomes a Up & Comin’ contestant, they will receive massive exposure opportunities on a world wide stage. Season 2 will have 25 episodes, 85 music videos, plus a 2 part finale! That’s a total of over 8 hours of content streamed online to the world! If they win, they will receive a record deal with Jacob’s Eye Music; and then of course …….. TEN GRAND!